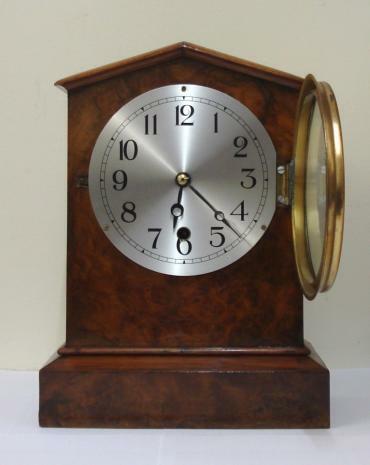 Stock Number: CLMA057 - American Burr Walnut Timepiece Mantel Clock - £275. 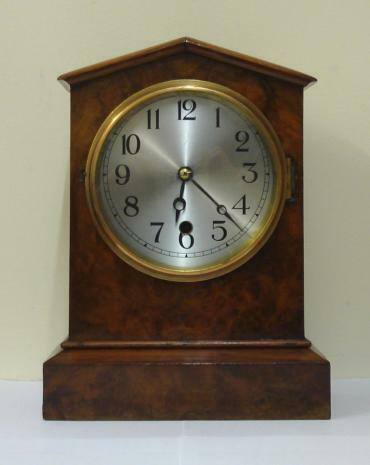 American 8 day burr walnut veneer cased mantel clock timepiece circa 1900. 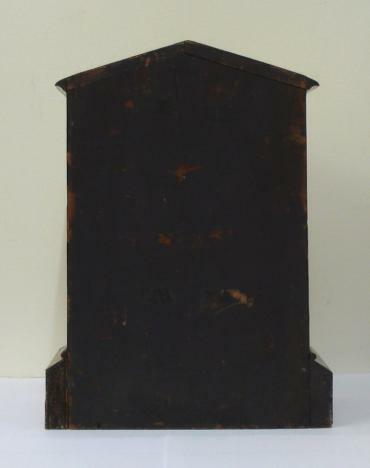 Simple arch topped case with integral plinth. 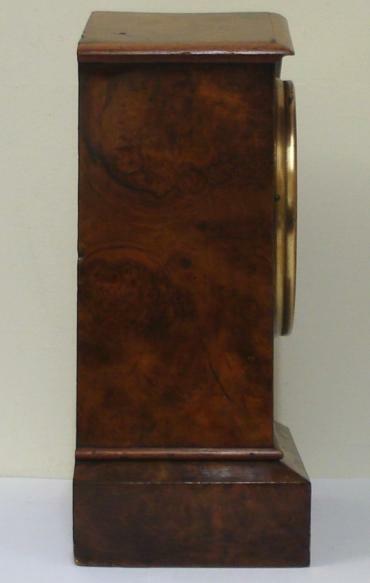 Gilt brass bezel with flat glass over a silvered dial with black arabic hours and black steel moon hands. 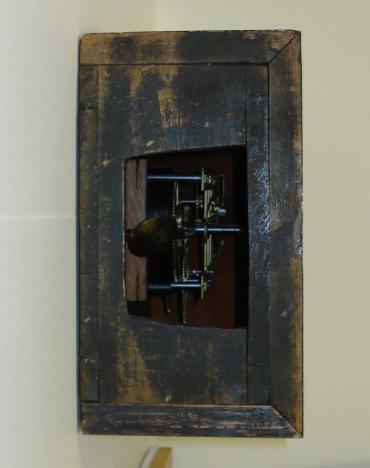 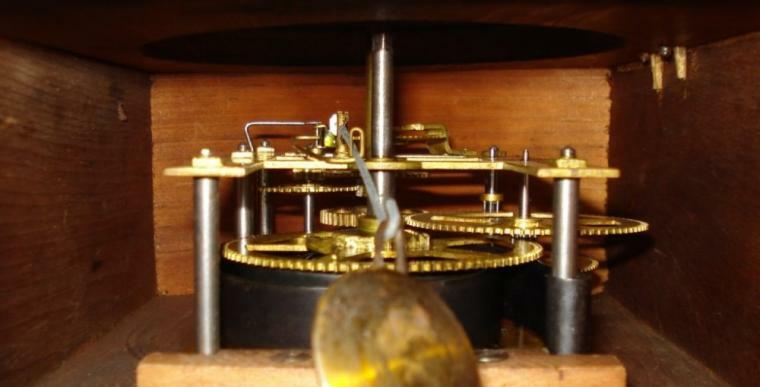 Simple brass, spring driven pendulum regulated, movement which because of the solid casework construction, only accessible from under the clock. 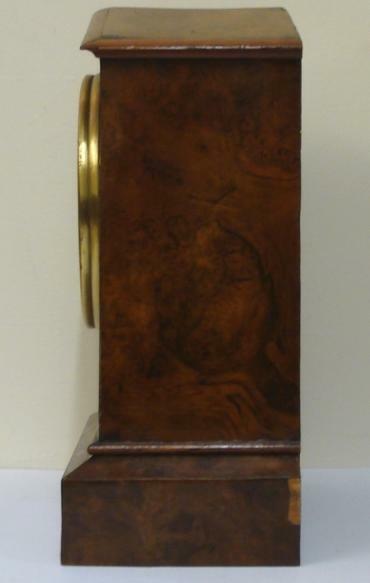 Dimensions: Height - 12.5", width - 9", depth - 5".